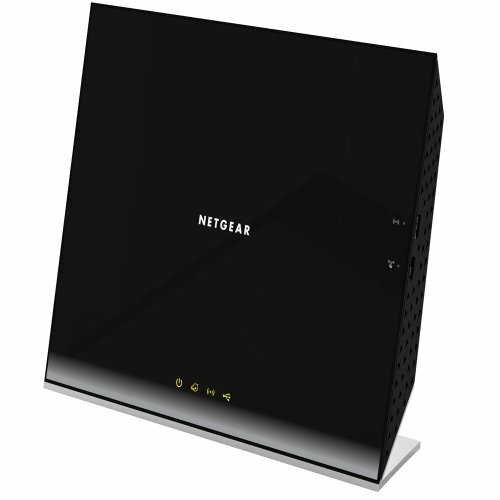 The NETGEAR R6200 WiFi Router delivers next generation WiFi speeds with better range and speeds up to 867 Mbps.Compatible with next generation WiFi devices and backward compatible with 802.11 a/b/g/n devices, it enables HD streaming throughout your home. With up to 300+867 Mbps speed and simultaneous dual band technology, the R6200 avoids interference, ensuring top WiFi speeds and reliable connections. This makes it ideal for larger homes with multiple devices. In addition, four Gigabit Ethernet ports offer ultra-fast wired connections. Wirelessly access and share USB hard drive or USB printer using the USB 2.0 port.